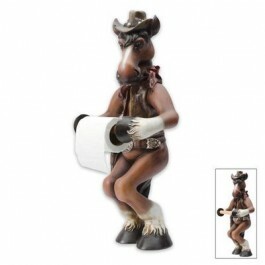 Complete your bathroom décor with this hand painted poly resin toilet paper holder. 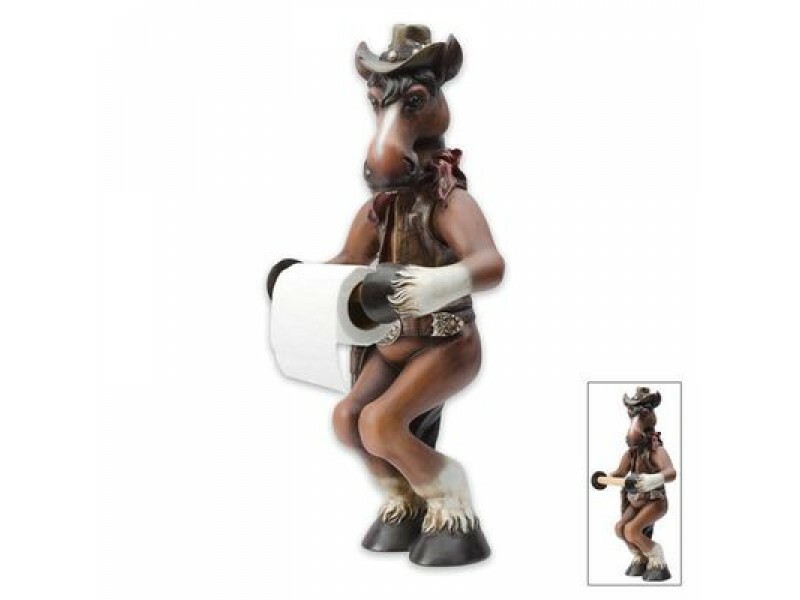 This there-when-you-need-him horse stands approximately 20” tall. Holds a standard roll of toilet paper.